So I finally get around to doing a post in the month of July! It's not that I haven't put fingertips to keyboard at all during July, I have done a couple of items for Malt, its just that I've been a bit distracted. Due to the recent extended spell of rather glorious weather, coupled with a World Cup and the odd weekend away, writing reviews hasn't been terribly high on my agenda to be honest. Not a great way to keep up interest in my site I agree, but it's just fact. I have been imbibing the odd dram during this dry spell (both weather and review wise), some of said whiskies have been outstanding, others far down at the other end of the spectrum. Which brings us nicely to today's whisky of choice, the Scapa Skiren. 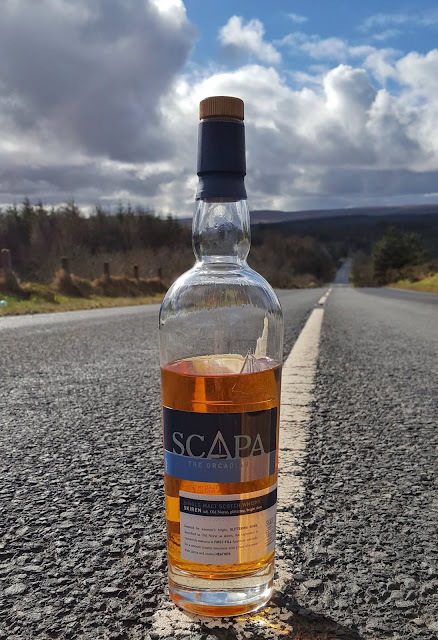 Hailing from Orkney, home also to Highland Park, Scapa is very much the newer and less noisy neighbour. 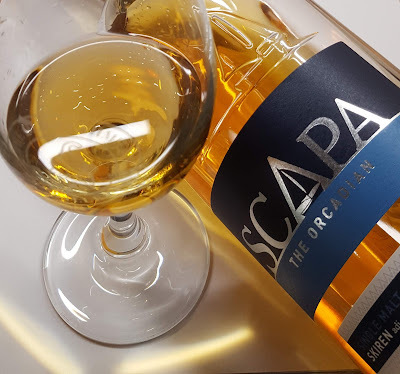 Whereas Highland Park seem to bombard us with a new release every other week, Scapa have two expressions in their range, the Skiren and the Glansa. For both these expressions the new make spirit is unpeated but the Glansa gets a light smoke added via maturation in casks that previously held peated whiskies. Prior to these releases Scapa had only one core expression which was a 16 year old single malt which seemed to have pretty much universal acclaim as being a bit of a belter. Sadly I haven't tried this expression and because its rarer than hens teeth these days expect to pay a hefty premium if you ever stumble across it. Like many distilleries Scapa has had a turbulent history stumbling between periods of production and non-production. In 1994 the distillery was mothballed by owners Hiram Walker & Sons. Limited production restarted in 1997 using staff from Highland Park. 2004 saw an investment of £2.1 million with major refurbishment work carried out and the Scapa 14 year old was released. 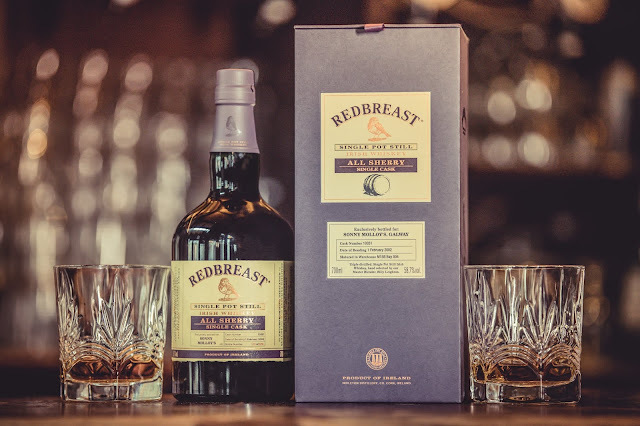 2005 saw the distillery come under the ownership of Pernod Ricard. 2008 saw the release of the much vaunted 16 year old expression which was eventually phased out by 2015 when the Skiren was released. 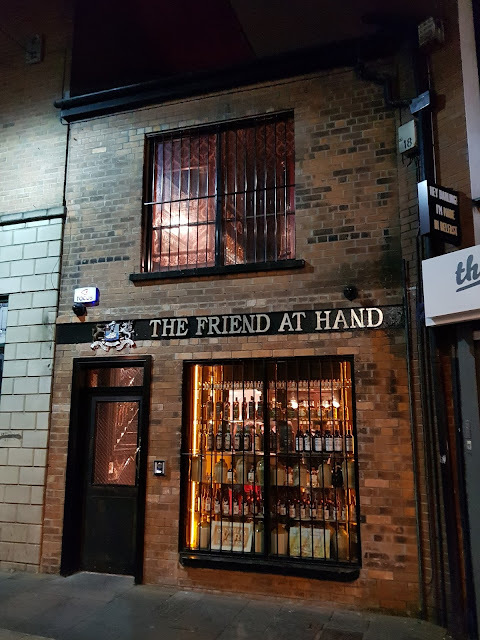 Until 2015 the distillery only operated 3-4 days a week. As such fermentation time for the wash was a lengthy 160 hours. As of 2015 production was upped to 7 days a week. As a result, fermentation time dropped to 52 hours. I can only imagine the new make spirit is now a much changed animal. The Skiren then, which is norse for glittering sky, is a no-age-statement whisky, matured exclusively in 1st fill American oak casks, bottled at 40% with no mention of chill filtration or colouring but I'm pretty sure it's been subjected to both. I got mine on offer in Sainsburys where it will normally set you back £42, but I paid around £33. Very fresh and clean nose. Lime jelly, sliced green apples, honey, vanilla, white pepper, a hint of leather and then a whiff of salt to finish. Wow this is tart! Like sucking on a succession of Granny Smith apple slices and pink grapefruit. A small hint of honey tries to force a way through but then comes a rush of dry tannic spice, like chewing on cloves. It now becomes bitter and woody. Mouth drying tannins overpower everything. Very woody with raw clove spice. Now I have read other reviews that state that this veers dangerously close to being too sweet. I get the exact opposite experience. The nose is actually fine but the palate, well that is something else entirely. More akin to Listerine than to whisky in my opinion and actually I'd choose the Listerine first as it has the added benefit of being about one tenth of the price of the Scapa with a similar experience. Not the very worst whisky I have ever tasted but one that I will never, ever revisit and actually I think I may end up cleaning my toilet bowl with it. I always fancied trying that one - so thanks for saving me £40! Although, was it really that bad - you seem to have worked your way through 1/3 of the bottle! Yes, for me it really is that bad. Definitely not worth the asking price and even if it was £25 a bottle I wouldn't buy another one. As for the fill level....there were some other unfortunates who got to try it!